Properties in Coroglen average 4.5 out of 5 stars. Property 4: Fisherman's Rest- in Magnificent Mercury Bay. Property 16: Tironui. Stunning ocean, harbour and island views. Property 19: Estuary edge in private estate. 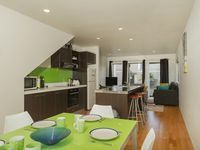 Property 28: Beautiful, private apartment just a stroll across the reserve to the beach. Property 39: Rat Race Be Gone! Basic or Decadent - Your call! 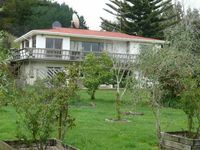 Property 44: Paku Paradise, Tairua. Property 47: Cute, comfortable, clean and self-contained.